The Willowcreek is quite an extraordinary home. It has an open, airy look with the family room overlooking the living room and an open staircase. 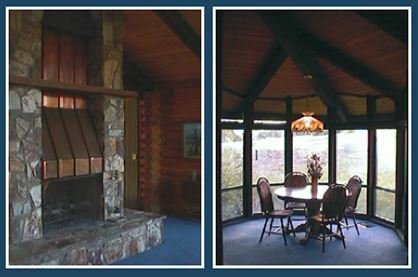 By adding a large stone fireplace, this model becomes quite a modern log home. 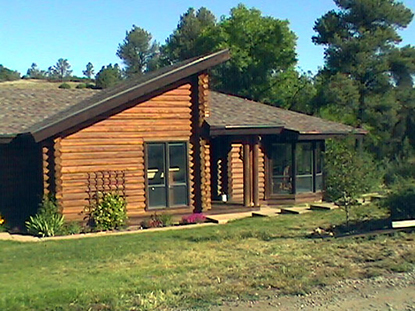 The Willowcreek is a true testament to the quality and unique design we offer in a log home. This model offers enough features to satisfy the most discriminating buyer with a price that will fit most budgets. The living area has a vaulted roof system with flat ceilings except for a vaulted ceiling in half of bedroom #2.